We're celebrating 4th of July this week in the U.S.!! 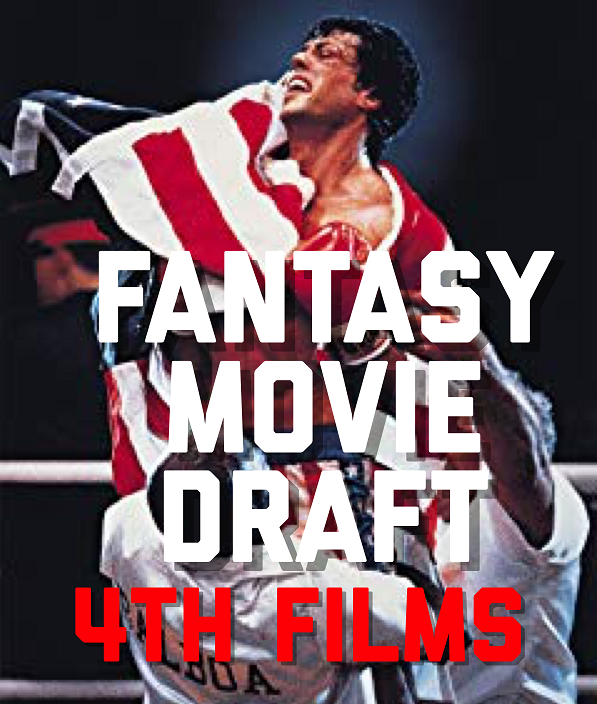 So we thought it'd be a perfect time to do a quick & dirty 4-round #FantasyMovieDraft with a more eclectic theme - 4th films! So any movie that was the FOURTH in a movie series - by release date (and not chronologically) - is draftable! Competing are draft vets Shampu from LootQuest RPG and John from Who Spiked The Puns plus draft newbies Tony from Take Too Podcast and Ben from Blockbuster Mentality! Who did the United States proud this week and who got the dreaded 'Price is Right' buzzer? Be sure to go to Twitter to vote for your favorite team! Please check out our podcast on Facebook, follow us on Twitter @MovieGeekCast and find our pod and several other awesome ones like it on the PodFix Network! Subscribe and if you like us (like really like us), we'd appreciate it if you leave us a positive rating and review on Apple Podcasts! You can also email us any questions or comments to moviegeekcast (at) gmail (dot) com!